European titanium refers to the first class of titanium alloys. It is similar to grade 11, but without the inclusion of palladium, which is added to the alloy to enhance corrosion resistance. A good balance of strength and weight. One of the most soft and ductile grades of titanium. Corrosion resistance in oxidizing and mildly reducing environments. Good plasticity, impact toughness and good weldability. Aeronautics, aerospace, industrial chemistry and energy. — manufacture of the chloride. Pipe Titanium Grade 1 have higher resistance compared with a conventional duplex steel pipes. Chemical, oil and gas industry uses these tubes for transporting gases and liquids. These pipes are very strong and durable, resistant to corrosion. Supplier of titanium alloys offers only certified products. Technical documentation has all the information about chemical composition, % impurities, the mechanical properties of titanium sheets. We can buy Titanium Grade 1 titanium 3.7025 — CP4 pipe, wire: at a reasonable price. You will be satisfied with the quality and price of titanium alloys. Wholesale buyers of the company Electrocentury-stalmost to buy Titanium Grade 1 titanium 3.7025 — CP4 pipe, and wire from discount discount. 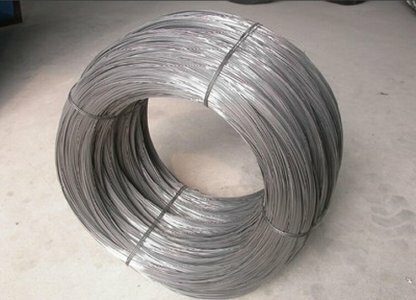 Titanium Grade 1 — 3.7025 — CP4 pipe, wire: from the supplier Electrocentury-steel can be purchased wholesale or retail. On the website reflected the price and mix of products to date. Excellent product quality and reasonable price — face provider Electrocentury-steel. Regular customers can buy titanium products using the discount system of discounts from the supplier Electrocentury-steel. Delivery is carried out from warehouses located in Russia and Ukraine.